Home buyers extended a trend of increasing sales into its fourth consecutive month, according to the Canadian Real Estate Association as mortgage rates also crept up last month. However, economists suggested Monday the higher rates could help cool the market through the second half of the year. "Interestingly, the recent move up in five-year fixed rates ... might have actually stoked sales activity in June, with buyers making their move before their lower rate contracts expired," said Robert Kavcic, a senior economist at the Bank of Montreal. "If so, that could set the stage for another cooling off period this summer." CREA reported home sales through its Multiple Listings Service were down 0.6 per cent from June 2012, but up 3.3 per cent from May. Canada's big banks have been raising rates for fixed mortgages in recent weeks as rates in the bond market have also climbed. TD Bank economist Diana Petramala said she expects sales to slow down during the summer and fall, but noted they should remain at healthy levels. "Conditions for housing demand are actually still quite good in most major markets, including good employment markets and decent affordability, with the exception of maybe Toronto and Vancouver," Petramala said. "Demographics are still quite supportive of sales roughly around the level that they currently are. So more of a stabilization going forward." Despite the drop in sales from June 2012, the national average sale price last month was up 4.8 per cent from a year ago, rising to $386,585. CREA's house price index, which adjusts for the difference in different property categories, was up 0.12 per cent from May and up 2.27 from a year ago. The association said home sales improved in two-thirds of the markets it tracks compared with May with the biggest gains in Victoria, Vancouver, the Fraser Valley, Edmonton, Saskatoon, Winnipeg and Montreal. When compared with a year ago, Toronto and Montreal were lower, while Vancouver, Calgary, and Edmonton were up compared with last June. 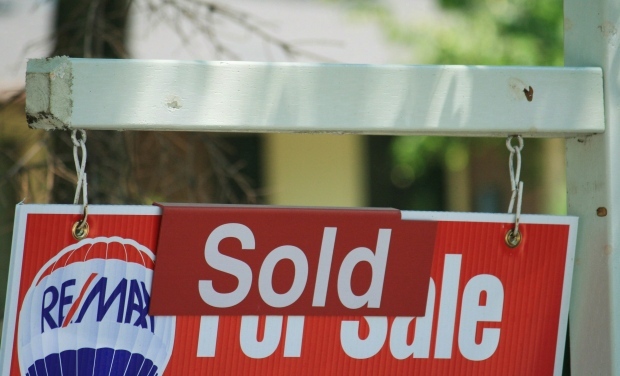 The number of newly listed homes were down 0.5 per cent on a month-over-month basis in June. Economists have suggested changes to rules for mortgage lenders and borrowers announced about a year ago have been a major factor behind a slowdown in Canadian residential real estate sales starting last August and continuing into early 2013. CREA president Laura Leyser noted that June was the second month in a row where sales improved in a majority of local markets. "Whether those gains reflect temporary factors or a fundamental improvement after a slow start to the year really depends on where you are," Leyser said. The association said some 240,068 homes have sold in Canada through its MLS system so far this year, down 6.9 per cent from the first half of 2012.